The Oregon Cavy Breeder's Society (OCBS) welcomes you to the wonderful world of Cavies (aka Guinea Pigs). As our website keeps evolving, we hope to keep you up to date on the latest and greatest in the Oregon cavy world. 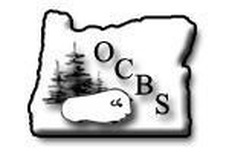 OCBS is affiliated with the American Rabbit Breeders Association (ARBA), the American Cavy Breeders Association (ACBA) and the Oregon League of Rabbit and Cavy Breeders (OLRCB).